UNFORGOTTEN is a photobook by Eveline van de Putte and Alice Anna Verheij with photos made during their travels to Nepal in 2011 and 2012. During those visits they’ve been working on a documentary and interviewed and photographed many Bhutanese living in exile. They visited the camps extensively and built friendships with the refugees. This photobook is the first result of their work their. 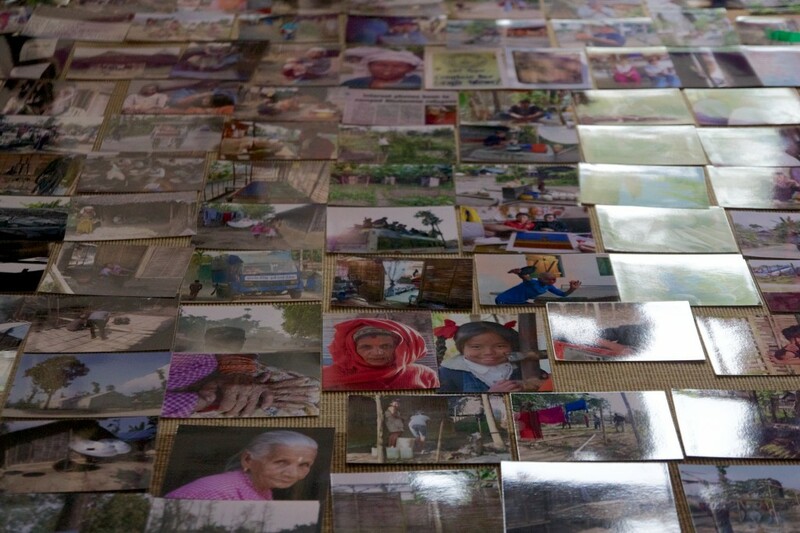 In combination with the photobook they are holding photo exhibitions in the Netherlands and are available for lectures on the topic of the Bhutanese exile and the third country resettlement of these people as executed by the United Nations. UNFORGOTTEN tells the tale of the forgotten exiles from Bhutan who are still living in refugee camps in Nepal twenty years after they have been ethnically cleansed from their motherland by their government. In almost 180 photos Eveline and Alice Anna show the daily life in the camps, the struggle, the joy, the friendships, domestic life and much more. Eveline van de Putte is a writer, photographer and trainer dedicated to social documentary photography and life stories. She has published a number of titles with life stories and photos from migrants, elderly and in 2010 a fairy tale book with collected fairy tales from all over the globe. Currently she is working on a book with life stories of lgbt elderly from different cultural backgrounds living in the Netherlands and a photobook of elderly in the Himalayas. 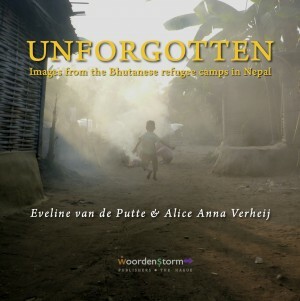 During the work for the documentary Headwind, the forgotten exiles from Bhutan which she is making together with Alice Anna Verheij she has made an enormous collection of photos of which the best are published in this book. Her photos are for sale. More information about that can be obtained by sending her an email. Alice Anna Verheij is a writer, filmmaker and photographer who is dedicating her work to human rights advocacy and unveiling unknown human rights situations. Her prime area of interest is South Asia. Her debuting novel was a Dutch language thriller about the fight against women trafficking from Nepal, through the Gulf States to Europe. Currently she is working on her next Dutch language novel and the sequel to her first published book. In the end of 2012 she will release her documentary Headwind, the forgotten exiles from Bhutan which she made in 2010 – 2012 together with her companion Eveline van de Putte. They have also recently published the photobook UNFORGOTTEN that can be ordered here and there photos are being exhibited in a number locations in the Netherlands. UNFORGOTTEN can be ordered here. All earnings of the work are kindly donated by the authors to the Empowerment Foundation’s Headwind Project.